Administrative Law Judge (ALJ) Rebecca Freie, Office of Administrative Hearings (OAH), State of California, heard this matter on December 6 and 7, 2011, in Fullerton, California. Timothy Adams, Attorney at Law, represented Student. He was assisted by Phillip VanAllsburg, Attorney at Law. Mother and Father, referred to collectively as Parents, were present throughout the hearing. Fullerton School District (District) was represented by Cynthia Yount, Attorney at Law. Laura Rydell, Director of Student Support Services, was present throughout the hearing as the District’s representative. 1 The District filed a complaint with OAH on its own behalf on June 22, 2011, and the matters were consolidated by OAH on July 13, 2011, as stipulated to by the parties. As discussed below, the District’s complaint was dismissed on the first day of hearing. 2 For the record, Student’s closing argument is designated as Student’s Exhibit S-12, and the District’s closing argument is designated as District’s Exhibit D-21. Did the District deny Student’s procedural rights by failing to provide a legally sufficient response to Student’s request for an independent educational evaluation (IEE)? On November 29, 2011, Student filed a motion to dismiss (motion) the District’s complaint in the consolidated matters that constituted this case at that time. The matter was orally argued at the PHC on November 30, 2011. The District’s complaint sought an order allowing it to assess Student without parental consent. Student argued that the District’s issue was moot because Parents had signed an assessment plan on November 18, 2011, allowing the District to assess Student, and the assessments were being conducted. The District argued that it was concerned Parents might rescind consent, or refuse to make Student available for further assessments. The ALJ denied Student’s motion based on the District’s argument. At the start of the hearing on December 6, 2011, Student renewed her request that the District’s complaint be dismissed. Student argued that the District was asking OAH to compel Student to be assessed without parental consent pursuant to an assessment plan referred to in its complaint of June 13, 2011, and this was not the same assessment plan signed by Parents on November 18, 2011. The District, through its attorney, conceded that the assessment plan signed by Parents in November was “more robust,” and therefore a different assessment plan than that which was subject of the District’s complaint. Accordingly, the new assessment plan superseded the one which the District’s complaint asked to be adjudicated, so the ALJ dismissed the District’s complaint as moot. Student contends that Parents made a request for an IEE in September 2010, and even if that request was not legally sufficient, they made a legally sufficient request for an IEE in May 2011. Student further argues that the District did not make a procedurally sufficient response to that request when it responded in June 2011. Therefore, Student asks that Parents be reimbursed for an IEE they privately obtained following the District’s refusal to fund the IEE. 3 Issue 1 has been modified to correctly cite the Code of Federal Regulations. 4 All subsequent references to the Code of Federal Regulations are to the 2006 version. The District argues that Parents delayed making their request for an IEE by some 15 months after the District presented its initial assessment at an individualized education program (IEP) team meeting in March 2010, and therefore the request for an IEE was procedurally defective in May 2011. The District further contends that Parents never stated that they disagreed with the previous assessment. Finally, the District asserts that its offer to reassess Student following the request for an IEE, and its filing of a complaint to compel that assessment in June 2011, was a procedurally sufficient response to Student’s request for it to fund an IEE. The District also asks that if OAH orders it to reimburse Parents for the IEE, it should not be required to reimburse them for the independent assessor’s attendance at an IEP team meeting in November 2011. 1. Student is now six years old, and has resided with Parents within the jurisdictional boundaries of the District at all relevant times. Student attends a special day class (SDC) for moderately to severely disabled children in the District. 2. Student was born in China and raised in an orphanage there for at least the first three years of her life. She was brought to the United States by Parents early in 2010, at the age of four, and has been adopted by them. 4. When a student is suspected of having a disability, a school district is obligated to have her assessed. Testing, assessment materials, and procedures used for the purposes of assessment must be selected and administered so as not to be racially, culturally, or sexually discriminatory. The assessment is to be conducted by persons who are competent and have knowledge of that disability. Tests and other assessment materials shall be provided and administered in the language and form most likely to yield accurate information on what the pupil knows and can do academically, developmentally, and functionally, unless doing so is not feasible. No single procedure may be used as the sole criterion for determining whether the student has a disability or determining an appropriate educational program for the student. If standardized test instruments cannot be used to assess a child, alternative means may be used. 5. The District conducted its assessment of Student in February 2010. There was no evidence produced at hearing that the resultant psychological evaluation did not meet statutory requirements. Further, as will be discussed later in this decision, whether the evaluation met statutory requirements is not an appropriate issue to be addressed in this Decision. 6. An IEP team meeting for Student was held on March 22, 2010, at which the District’s assessment was discussed. Based on testing in the areas of nonverbal reasoning, cognitive functioning, gross motor skills, fine motor skills, social-emotional status, and selfhelp skills, Student was determined to be functioning at the 16 to 37 month level. At the time of assessment, Student was 51 months of age. 7. At the IEP team meeting of March 22, 2010, Student was found eligible for special education under the classification of mental retardation, which is now referred to as an intellectual disability under federal law. The IEP team meeting was attended by Parents and District personnel. The IEP team determined that Student would be placed in an SDC for moderately to severely disabled children and would be provided with an augmentative communication system. She was given a total of seven annual goals. Student was to be provided with 30 minutes of speech and language therapy each week. Parents consented to the IEP in its entirety at the meeting. 8. If a parent disagrees with a school district’s assessment of a student, she may request a publicly funded IEE. There is no requirement that the parent specify why s/he disagrees with the school district’s assessment. Nor is there any statutory or regulatory time limit for requesting an IEE after a school district has conducted an assessment, other than the two year statute of limitations imposed by California law for the filing of a due process complaint. If a district is unwilling to fund an IEE, it must, within a reasonable time, file a request for due process to establish the appropriateness of its assessment. If a district unnecessarily delays in filing a request for due process because it does not want to fund an IEE, it may be liable for funding an IEE, even if its own assessment was appropriate. If the assessment is found to be appropriate after a due process hearing, i.e., it complies with all state and federal requirements for assessments pursuant to the Individuals with Disabilities Education Act (IDEA), the district will not be required to fund an IEE. 9. Timelines for school districts to decide how to act when a parent requests an IEE are purposively short. It is in the child’s interest for the IEP team to have current and accurate information when making decisions about goals and placement. If a school district’s assessment is not legally sufficient, the IEP team may make significant errors in determining the child’s educational program. Therefore, a school district must act promptly to either agree to fund an independent assessment, or to file a complaint to validate the assessment previously completed by the district. If the school district’s assessment is insufficient the hearing officer may promptly order the school district to fund an IEE, so that the student is afforded an offer of placement and services based on an accurate assessment. 10. Parents were very diligent in following Student’s progress in the SDC. The IEP of March 22, 2010, was amended several times. For example, on August 30, 2010, at Parents’ request, the District reclassified Student as a preschool student, although she met the age criteria to be classified as a kindergartner, which is how the District had classified her when the school year began. Her classroom placement in the SDC remained unchanged. On August 31, 2010, her speech and language services were increased to two 30-minutes sessions each week. 11. On September 20, 2010, Mother sent an email to Kristin Lipiz, Student’s speech and language therapist, in which she expressed concern about the appropriateness of Student’s classroom placement, and stated that before she “pressed to have [Student] retested,” she wanted to speak to Ms. Lipiz. The latter responded that she felt it would be best if Mother spoke to the classroom teacher about her concern that a “more language rich environment” would be beneficial for Student. 12. On September 28, 2010, a meeting was held to discuss Student’s progress in speech. Attending the meeting were Ms. Lipiz; Student’s private speech and language therapist, Rebecca Allen; the school psychologist, Vicki Duffy; and Mother. At this meeting, Mother asked that “a full assessment” be conducted to address Student’s “current skill level across all levels.” It was unclear whether Mother wanted the District to conduct this assessment, or was requesting an IEE to be paid for by the District. Mother credibly testified that by this time, Parents believed that Student was inappropriately placed in the moderate to severe SDC, and wanted her placed in a mild to moderate SDC with a one-to-one aide. Parents believed that the District’s initial evaluation of Student was not an accurate picture of her functioning, and this explained her allegedly inappropriate placement in the moderate to severe SDC. 14. The annual IEP team meeting for Student was convened on March 17, 2011. There was no evidence that the District had asked Parents for consent to conduct another psychological assessment of Student prior to that meeting. However, at that time Student was undergoing an occupational therapy (OT) assessment. The IEP team discussed Student’s progress on previous goals, and the possibility of conducting a functional behavior assessment (FBA) to determine whether a behavior support plan (BSP) was necessary to control Student’s behavior in class. Student’s progress on previous goals was reviewed, as were new proposed goals. The District offered extended school year (ESY) services. The District also offered placement in a moderate to severe SDC for the 2011-2012 SY, speech and language services (to be increased to three times per week), adaptive physical education (APE), and transportation from school to home at the end of the school day. Parents did not agree to the District’s offer of placement and services at that time. 5 The testimony and evidence adduced at the due process hearing made it clear that Parents disagreed with the District’s psychological evaluation from February 2010, and were seeking another psychological evaluation to assess Student’s functioning, particularly her cognitive functioning. Therefore, all references to the 2010 assessment and IEE refer to a psychological assessment, although not specifically to a psychoeducational or neuropsychological assessment. 15. The IEP team reconvened on April 18, 2011. The OT assessment was reviewed, and OT was recommended. Proposed goals were discussed at length. Parents approved speech and language goals, but the IEP team meeting was then continued to May 16, 2011, at which time the team would discuss a behavior assessment by the District and a proposed BSP. 16. On May 16, 2011, the IEP team reconvened. The District’s proposed academic goals were discussed, and Parents suggested additional academic goals. Parents did not agree with the academic goals or the proposed BSP. They also asked that the District place Student in a mild to moderate SDC for ESY, and then consider placement for the 2011-2012 SY in a mild to moderate SDC if the ESY placement was successful. Parents did not consent to the District’s proposed IEP offer of goals, services and placement. They requested an IEE. Although the notes from that meeting do not specify what type of IEE was requested, testimony at the due process hearing established that parents were seeking a psychological evaluation, specifically a neuropsychological assessment. The District stated that they would respond to the request for an IEE within 15 days. 17. On May 19, 2011, Parents hand-delivered a letter to the District asking that they be provided information as to where they could obtain an IEE. They also asked for another IEP team meeting to be convened on May 31, 2011, to review new proposed goals, and they provided the District with a “Parent Addendum to IEP Notes” to reflect information that had not been included in the District’s IEP notes from the May 16, 2011 IEP team meeting. The District responded to Parents’ request for an IEE by proposing to conduct a new assessment of Student and presenting them with an assessment plan dated May 20, 2011. 18. On May 26, 2011, Student’s attorney, Mr. Adams, wrote a letter to the District reiterating Parents’ request for an IEE. In this letter Mr. Adams stated that Parents disagreed with the District’s previous assessment (from February 2010), and they disputed the sufficiency of the District’s response. This letter constituted a legally sufficient request for an IEE, to the extent the District was not already on notice based upon all of the communications with Parents from September 2010 through May 2011. The letter crystallized the Parents’ request. 19. On June 10, 2011, the District sent Parents a written notice explaining why it was refusing to change Student’s placement and behavior goals, and why it would not fund an IEE. The District claimed that it had a right to assess Student first, before it needed to consider funding an IEE. This response did not comply with the law concerning IEEs. 20. 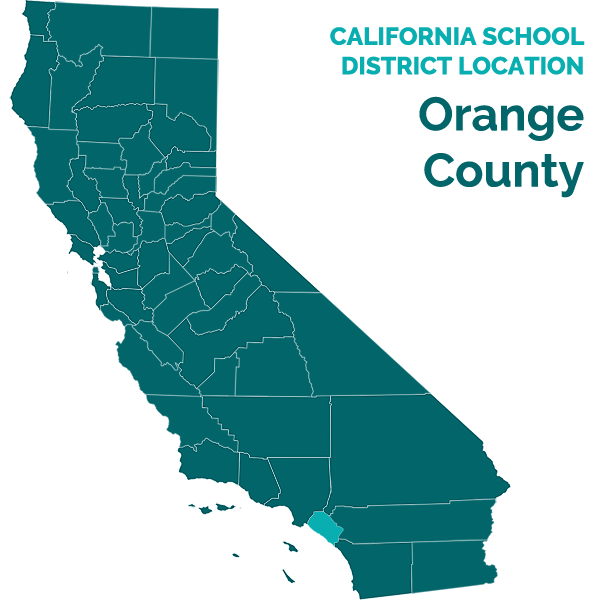 On June 22, 2011, the District filed its complaint with OAH asking that it be permitted to reassess Student without obtaining parental consent, pursuant to the May 20, 2011 assessment Plan. The District did not ask that OAH determine that its psychological evaluation from February 2010 be found in compliance with state and federal statutory and regulatory laws, nor did it assert that it was. 21. The District’s offer to reassess Student was not an option available to the District in response to the request for an IEE. The only two lawful responses were to agree to an IEE, or to file a complaint asking that its prior evaluation be found to be appropriate. The District did neither, and has not done so to date. This procedural violation, in and of itself is sufficient grounds to order the District to fund an IEE, without further findings. Therefore, there is no need to determine whether the District’s assessment of February 2010 met all legal requirements. 22. Student alleges that the District’s failure to consent to an IEE at its expense, or to file a timely due process complaint asking for a determination of the sufficiency of its last evaluation, was a procedural violation. The evidence establishes that it was. Based on case law, as will be discussed in the Legal Conclusions section of this Decision, the District’s procedural violation of failing to timely file a request for due process hearing to determine whether its previous assessment met statutory requirements requires a ruling in favor of Student. Accordingly, the District’s failure to appropriately respond to Parents’ request for an IEE was an actionable procedural violation and they are entitled to be reimbursed for the IEE in the amount of $5,512.50, which they reasonably expended on the IEE. 23. There are no statutory or regulatory provisions that that govern whether an independent evaluator is entitled to compensation for attending an IEP team meeting. However, OAH has ordered such compensation on many occasions. 24. On November 7, 2011, the IEP team met to review the IEE obtained by Parents. Mitchel Perlman, Ph.D., a clinical psychologist conducted and wrote the IEE. The District did not contest the appropriateness of Dr. Perlman’s evaluation. However, it argues that it should not be compelled to pay a charge of $962.50 that was incurred because Dr. Perlman attended the IEP team meeting where his IEE was discussed. 25. Kristin Lipiz, Student’s speech and language therapist reviewed Dr. Perlman’s report and attended the November 7, 2011 IEP team meeting. Ms. Lipiz testified that she did not believe she had any questions for Dr. Perlman at that IEP team meeting. 27. Ms. Linne credibly testified that it is standard practice for the District to have a school psychologist in attendance at an IEP team meeting when a psychological evaluation of a student is discussed. Ms. Linne testified that she had reviewed Dr. Perlman’s report prior to testifying, and she found it confusing because she did not understand his conclusion that Student be placed in a mild to moderate SDC as (in her mind) it did not reflect his other opinions. Ms. Linne would have had questions about how the assessment was conducted, such as why Dr. Perlman did not have an interpreter present for Student, whose native language is Mandarin. Ms. Linne’s persuasive testimony established that Dr. Perlman’s attendance at the IEP meeting was important not only to present his report, but also to respond to questions that any District team members might have concerning that report. 28. Sharon Dyer, a special education administrator for the District attended the November 2011 IEP team meeting. She reviewed Dr. Perlman’s report prior to that meeting, and had concerns about his recommendation that Student be placed in a mild to moderate SDC, and also concerns that Dr. Perlman did not conduct non-verbal cognitive testing of Student. Although there was no evidence that Ms. Dyer did, in fact ask these questions, the fact that she had them substantiates the need for Dr. Perlman to attend the IEP team meeting to present his report. 6 Ms. Duffy was hospitalized for the duration of the hearing, and unavailable to testify. The parties agreed to waive Ms. Duffy’s testimony on the condition that any testimony concerning otherwise uncorroborated hearsay statements be stricken. The ALJ accordingly disregarded such testimony. 29. The evidence established that Dr. Perlman’s attendance at the IEP team meeting was warranted, and accordingly, the District is ordered to reimburse parents for that cost in the amount of $962.50, in addition to the cost of the assessment itself. 1. Under Schaffer v. Weast (2005) 546 U.S. 49 [126 S.Ct. 528 , 163 L.Ed.2d 387 ], the party who filed the request for due process has the burden of persuasion at the due process hearing. Student filed for a due process hearing and bears the burden of persuasion. 5. When a student requests an IEE, the public agency must, without unnecessary delay, either file a request for due process hearing to show that its assessment is appropriate or ensure that an independent educational assessment is provided at public expense. (34 C.F.R. § 300.502(b)(2); Ed. Code, § 56329, subd. (c).) The public agency may ask for the parent’s reason why he or she objects to the public assessment, but may not require an explanation, and the public agency may not unreasonably delay either providing the independent educational assessment at public expense or initiating a due process hearing. (34 C.F.R. § 300.502(b)(4).) Neither federal or California special education laws or regulations set a specific number of days for a school district to file a due process hearing request after a parent requests an IEE. 6. The IDEA allows states to determine the time by which a request for due process hearing must be filed. (20 U.S.C. § 1415(b)(6)(B.) California law provides that a request for a due process hearing “shall be filed within two years from the date the party initiating the request knew or had reason to know of the facts underlying the basis for the request.” (Ed. Code, § 56505, subd. (l).) There is no more specific statutory limitation on the time in which a request for an IEE must be made. Issue 1. Did Student adhere to the requirements of 34 Code of Federal Regulations, part 300.503 (2006), and Education Code section 56329, when she requested that the District fund a neuropsychological assessment at public expense? 8. As established by Legal Conclusions 2-5 and Factual Findings 1-18, Student made an appropriate request for an IEE, and the District then failed to comply with its statutory duty to either fund the IEE, or to file its own request for due process to establish that its prior assessment met all legal requirements. Parents began questioning the District’s initial assessment from February 2010 in September of that same year. The annual IEP team meeting for Student began on March 17, 2011, and was continued to April 18, and then to May 26, 2011, at which time Parents requested an IEE. Their attorney renewed this request for an IEE on their behalf, and completed the procedural requirement for an IEE by stating in his letter that Parents disagreed with the prior psychological assessment. Although the District now argues that this period of time exceeds that authorized by state and federal statutory and regulatory law to disagree with an assessment, they can cite no authority for this argument, other than inapplicable case law, because none exists. Further, the evidence established that seven months after it conducted its psychological assessment of Student in February 2010, that Parents were questioning Student’s placement, and asking whether another assessment could be conducted, so the District should not have been surprised when they asked for an IEE at the IEP meeting in May 2011. Accordingly, the evidence establishes that Student complied with all legal requirements when it requested an IEE in May 2011. Issue 2. Did the District deny Student’s procedural rights by failing to provide a legally sufficient response to Student’s request for an IEE? 9. Legal Conclusions 2-7 and Factual Findings 18-22 establish that the District failed to comply with its obligation to either fund the IEE, or file a due process complaint to confirm that their previous evaluation met all legal requirements. Rather, it tried to have Parents sign an assessment plan so that it could reassess Student, and then filed a complaint to compel that assessment without parental consent. 11. Legal Conclusion 10 and Factual Findings 23-29 establish that the District is obligated to not only pay the cost of the IEE by Dr. Perlman, but also to pay for his attendance at the IEP team meeting in November 2011. The evidence established that Dr. Perlman’s attendance at the IEP team meeting was useful in explaining his assessment, and being available to respond to questions from the participants, even if the evidence did not establish whether questions were actually asked. Based on all of the evidence, the District shall reimburse Parents in the amount of $6,475.00, for Dr. Perlman’s IEE, which includes the sum of $962.50 for his attendance at the IEP team meeting in November 2011. The District shall reimburse Parents in the amount of $6,475.00, for Dr. Perlman’s IEE and attendance at the IEP team meeting in November 2011. Education Code section 56507, subdivision (d), requires that the hearing decision indicate the extent to which each party has prevailed on each issue heard and decided. Student prevailed on both issues decided in this case.